There are currently 3 entries in the forum. I want to make Gin just in small amounts for myself. How does vapor infusion work? 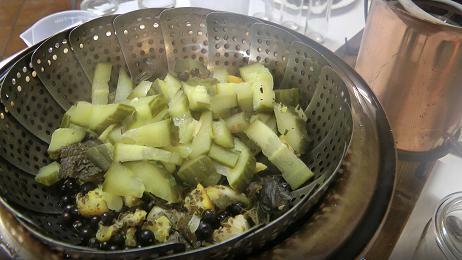 This is quite easy: put the botanicals into a steamer basket and pour tasteless alcohol with approx. 12 % ABV in the kettle below the basket. 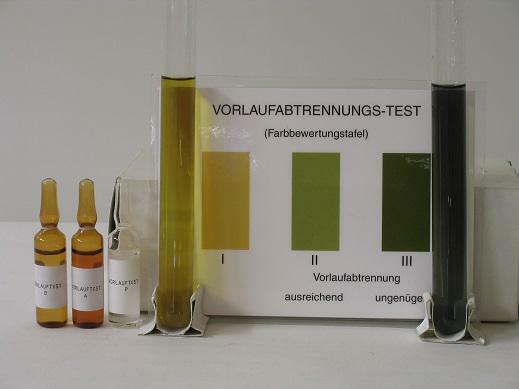 The photo shows the mixture for 1.5 liters of alcohol. Our book contains a detailed recipe of the ingredients. Yes, if you eat them. But if boiling them not. 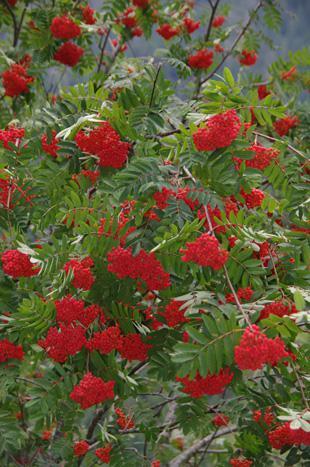 So a rowan berry brandy is not poisonous. What exactly is the "first runnings separating test"?